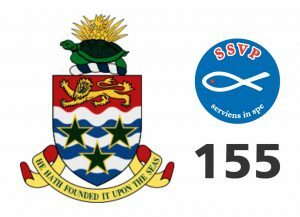 The New Year is starting off well with the formation of the Society of Saint Vincent de Paul (SSVP) in a new place: the Cayman Islands. This now makes 155 territories in which the Society has an active presence. Headed by sister Merle McGann, a parishioner of St. Ignatius Parish in George Town (capital), the Society received official government approval last week. 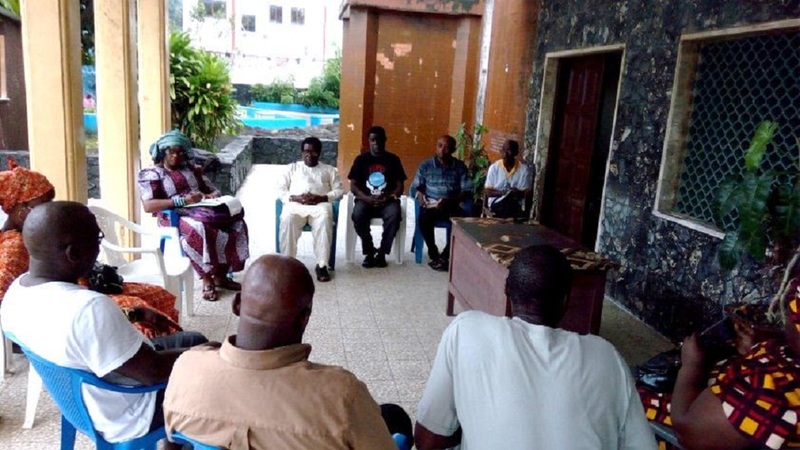 She has recruited a Treasurer and Secretary and has interest from several other people. The Society has received the blessings of Bishop Auturo Cepeda, and pastor Suresh Rajaian. 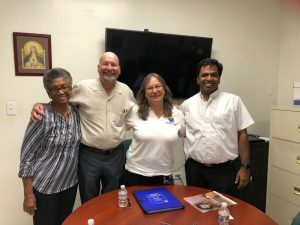 America 1 Coordinator, sister Mary-Rose Knight, and ITVP America 1, brother Michael Nizankiewicz, both members of the Council General International (CGI), met with Merle and Fr. Suresh in late October to outline the plans for the new SSVP Conference, and to present him a copy of The Rule and other documents of formation. Later this month, Fr. Suresh will do pulpit announcements to invite more members. The initial plans for the new Conference are to do home visits and to assume responsibility of the food pantry, which has been a part of the parish. Cayman Islands are an archipelago in Caribbean zone which belong to the United Kingdom. The Cayman Islands were discovered by Christopher Columbus on May 10, 1503 during his fourth voyage to America. Today, statistics show that 15% of the population in this territory is Catholic. “We are very proud of the great advances that the SSVP Plus Project has brought to the expansion of the Society around the world. We had already set up Conferences in three nations (Cyprus, Albania and Liberia), and now we come to the Cayman Islands thanks to the dedicated work of our Vincentian leaders, the essential support of the Catholic Church and local government approval. We are very pleased”, commented the President General, brother Renato Lima.